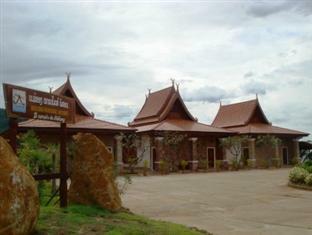 Pakse Hotels have a range of accommodation for you to choose from. There are hotels to suit every need. Whether you are luxury lover or budget conscious traveller we are certain you will find a hotel in Pakse that is right for you. 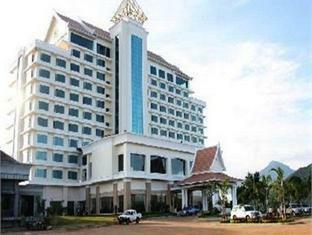 Here are some of the more well-known hotels in Pakse. The list is far from complete. I just hand picked a few that I and my friends or family have experienced, to give you an idea of what is available. 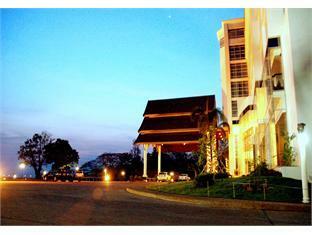 Champasak Grand hotel is located along the bank of the Mekong River. It offers a premium accommodation with great service. The hotel is just 15 minutes away from Pakse International Airport. All rooms and suites are well appointed offering fabulous views of the Mekong River and city. A large riverside pool provides a great spot to cool down after a hot day exploring the town. Click here to read reviews, find the best deal, and book the hotel. 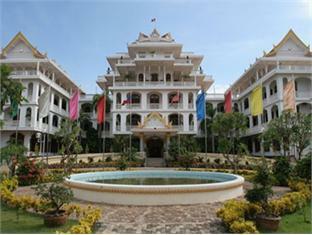 Located in the heart of Pakse city, the Champasak Palace stands out from afar with its unique style and size. It was originally built as a palace for the last king of Laos, but it was left unfinished after the king passed away. Around 10 years ago the palace was renovated into a hotel, retaining its former charms. The hotel features beautiful gardens, stunning views and easy access into town, a well-equipped fitness centre, massage service, restaurant, and internet access. The rooms are huge and well appointed with great view of river and city. Click here to read reviews, find the best deal, and book the hotel. Situated in a very attractive setting on the banks of the Mekong River near the Pakse Bridge, the hotel gives you wonderful views over the river. It is a very relaxing place to be. The rooms are big and beautifully fitted with wooden furniture and flooring. All rooms feature modern amenities such as air conditioning, cable TV, bath room with hot/cold shower, a bathtub and a large balcony area overlooking the river that allows you to enjoy the natural view from sunrise until sunset. The hotel is just a short drive away from Pakse International Airport and bus stations. Click here to read reviews, find the best deal, and book the hotel. More Pakse hotels will be added, mean while feel free to use the hotel search box below to search for more hotels in Pakse or surounded areas. It doesn't cost anything, why not check it out while you're here.